The Chinese smartphone maker LEAGOO has launched its latest budget smartphone called LEAGOO M13. The handset’s main features include dual rear cameras, waterdrop notch display, and fingerprint sensor. 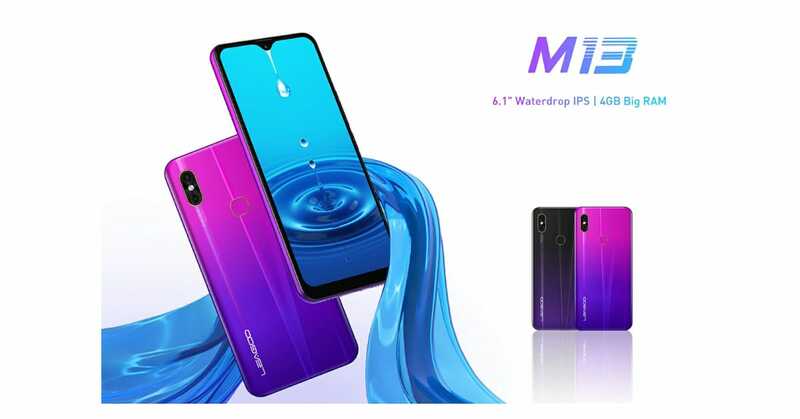 The new Leagoo M13 is priced at just $99.99 (Rs 6,800 approximately) on the company’s official website. Also, the device is also available on Aliexpress with discount for limited time. Let’s have a look at the LEAGOO M13 specs, features and pricing. 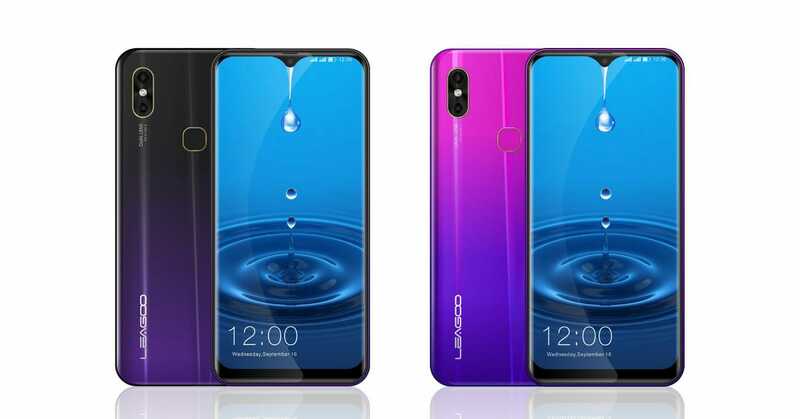 The Leagoo M13 features a 6.1 inches HD IPS waterdrop notch display with a 19:9 aspect ratio and a resolution of 600*1280 pixels. According to the company, it has 90%+ screen-to-body ratio. The device is powered by a 2.0GHz quad-core MediaTek MT6761 processor along with IMG GE8300 GPU. It comes with 4GB of RAM and 32GB of internal storage. The storage is expandable up to 128GB via MicroSD card slot. In terms of optics, the Leagoo M13 comes fitted with 8MP + 2MP dual rear-facing cameras with f/2.2 aperture, auto focus and LED flash. For selfies, it has a 5MP fixed focus camera with f/2.4 aperture on the front. There’s no LED flashlight on the front camera. The handset is backed up by a 3000mAh battery. It runs on the LEAGOO OS6.0 which is based on Android 9.0 Pie. For network & connectivity, it supports 4G LTE, Wi-Fi (2.4GHz & 5GHz), Bluetooth 5.0, GPS, OTG, FM radio, and a 3.5mm headphone jack. As it’s a budget-friendly phone, we can’t expect NFC support on this device. 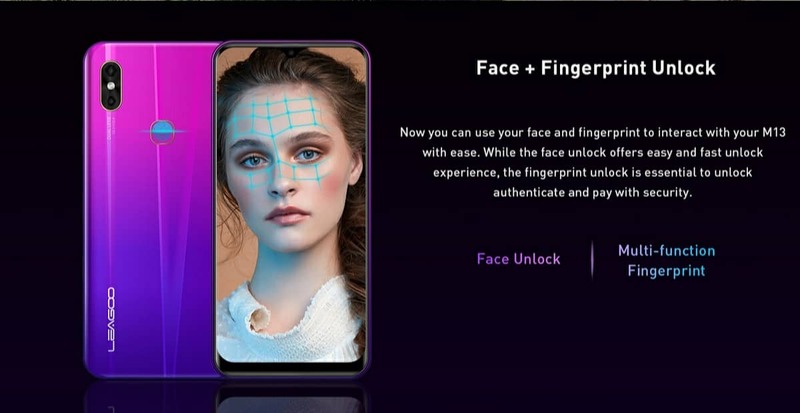 For security, the device has fingerprint sensor and Face Unlock. The Leagoo M13 is a budget friendly smartphone that costs just $99.99 (Rs 6,800). You can purchase this device from Leagoo’s officially website and AliExpress. The handset comes in two different Gradient colors: Phantom Purple and Twilight. Seeing the specifications and super affordable price, the Leagoo M13 is a great product. Even popular budget smartphones like Redmi 6A, Realme C1, Honor 7A, and Asus ZenFone Lite L1 don’t offer such features. The sad thing is that this Leagoo phone is not available in India.